The learning of modern foreign languages (MFL) prepares pupils to participate in an increasingly multilingual world in which the ability to communicate in languages other than English is becoming essential. Capability in the use of MFL promotes initiative, confidence and independent learning, as well as encouraging pupils to understand and celebrate diversity within their own community. Pupils develop a range of lifelong language learning skills along with an appreciation of customs, traditions and cultures other than their own. Ici nous apprenons le français! 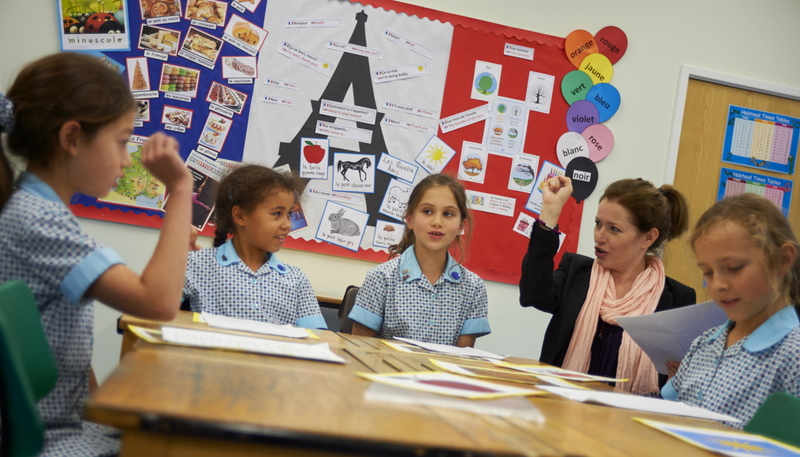 French is incorporated into the curriculum from Year 1 and extracurricular clubs in other languages, including Spanish and Mandarin, are offered from Years 1 to 6. French is learned in lively, interactive lessons primarily through imitation and repetition, with progress planned in small steps. 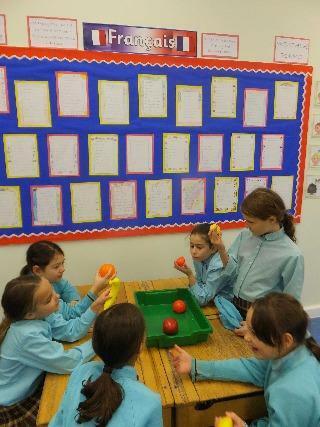 Songs and rhymes are used as a fun way to help pupils remember phrases and vocabulary and to improve pronunciation. Pupils also develop an understanding of phonics and are encouraged to make linguistic links between French, English and other languages that they may know. New vocabulary is presented orally and pupils are taught to speak in a range of contexts and situations such as role plays, responding to questions and reciting poems and songs. The classroom atmosphere allows pupils to speak without inhibitions. The development of listening skills is supported by visual aids and gestures with recordings, films and cartoons offering pupils familiarity with a range of voices and accents. Reading skills are initially developed through activities such as reading single words or sentences, matching sentence halves or reading labels and descriptions. Later, in Years 5 and 6, pupils being to read short passages, dialogues and comprehension exercises based on the topic areas they have been studying. 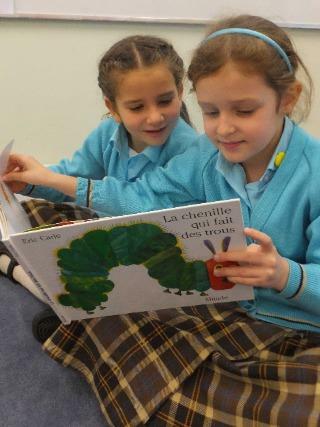 Pupils also enjoy children’s books in French to help them develop independent reading skills such as using pDigital Technologyures and contextual clues to work out meanings of unfamiliar words. Written work relates to the vocabulary being taught and helps develop awareness of spelling patterns and phonics. In Years 3 and 4 pupils copy write, while in Years 5 and 6 some development of writing models is encouraged. Year 6 children also begin to look more formally at grammar including the conjugation of some common regular and irregular verbs. Alongside the introduction of new topic vocabulary, pupils learn about similarities and differences between everyday French and British life. They gain an understanding of how important cultural events and festivals are celebrated and are even able to sample traditional seasonal dishes! In Year 6, pupils are offered the opportunity for further exposure to French culture through a trip to northern France in which they undertake a variety of cultural, sporting and historical activities with native-speaking guides and instructors. Pupils are encouraged to test out the language skills they have learnt in order to reinforce their confidence in speaking and listening. The school subscribes to the Linguascope website which pupils may also use at home. IPads and other digital media are used creatively during lessons to assist in independent learning, research and vocabulary practice.